We had a great golfing experience and working with you couldn’t have been easier. 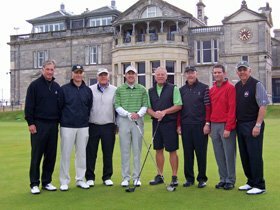 You were able to get us a guaranteed tee time at the Old Course, and at a very reasonable price, as well as make arrangements at all of the courses and hotels we wanted. We appreciated you making special arrangements for us at the Culloden House. I look forward to working with you on another trip.